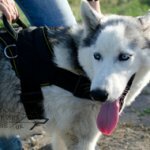 Where to Buy a Weight Pulling Harness for Dogs? 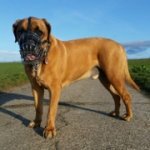 Our online dog store offers the very finest dog weight pulling harnesses and if you haven't chosen such a gear yet, we are glad to help you. Here are the best two harnesses for muscles development and sledding. 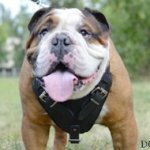 This weight pulling harness for dog is made of genuine leather. It is intended for small, medium and large breeds. The harness is used not only for pulling, but also for walking, training, sport and service work. Comfort and safety of the dog are the most important features of this harness. 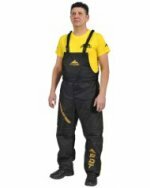 Selected quality of the materials provides long-term use of this outfit. Pulling load is evenly distributed along dog's body. It gains more freedom of movements. Front leather strap is wide. It is lined with soft felt. Thus the dog doesn't feel pressure on its breast. Metal details of the harness are of brass. They are welded to provide durability at loads. 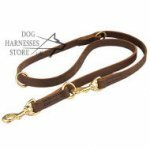 Brass has also gold-like look and adds luxury style to this harness. 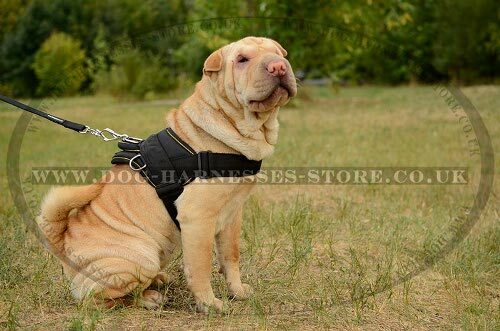 Straps construction allows to fit the harness according to anatomical structure of the dog. Quick-release buckle makes it easy to put the harness on and off. 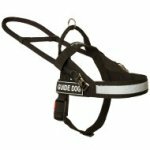 This leather harness is suitable for any breed and is used for multiple uses. 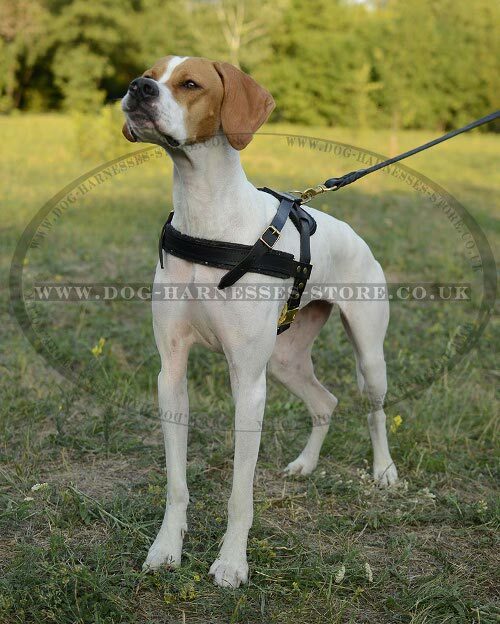 Our nylon dog harness was developed for safe and comfortable use. This harness is multifunctional. 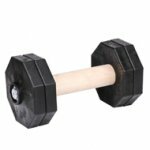 It is used not only for weight pulling, but also for daily activities. You can walk and train your dog. The harness is suitable for sport and work. It is light-weighted and practical. Nylon is resistant to tear, stretch and water. The harness is used in any weather. It is very convenient and handy in use, extra strong and durable. 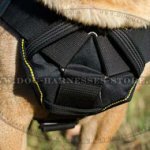 The harness is fitted with a handle on the top to control the dog when you cross the street or in other situations. Quick-release buckle of molded plastic will speed up and simplify putting this harness on. Adjustable front strap is a big plus of this model. 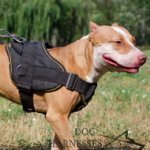 You can correct the size of this harness according to anatomical features of your dog. Belly strap of the harness is also adjustable. Back plate is wide. There are 3 welded D-rings, one on the back plate is for leash fastening, 2 side rings are for pulling. 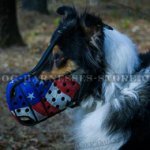 The harness goes in black color an in several sizes for small, medium and large breeds.